The right-wing Forum for Democracy lead by Thierry Baudet won 86 seats in this week's Dutch provincial elections, more than any other party. The ruling liberal VVD party of Prime Minister Mark Rutte won 80 seats (down from 89), followed by the Christian Democrats with 74 (down from 89). Geert Wilders' Party for Freedom and Peace PVV won only 41 seats, down from 66. “Volkert, where are you?” This reference to Volkert van der Graaf, the killer of Dutch right-wing politician Pim Fortuyn, was posted on Facebook by Corné Hanssen, who teaches at the Islam and Arabic subfaculty at the University of Utrecht. He has expressed remorse for the remark – now removed from his Facebook page – but faces an internal inquiry and possibly criminal prosecution. The remarks were made after a massive election victory by the Forum for Democracy headed by Thierry Baudet in Dutch provincial elections on Wednesday. Voters elected 570 provincial representatives in The Netherland's twelve provinces. Those elected will in turn choose the 150 members of the Senate, or “Eerste Kamer”. If the provincial candidates stick to their political colors, Baudet, who is on friendly terms with France's former Front National leader Jean-Marie Le Pen and Jared Taylor, an American white supremacist, will have a substantial bloc in the 150-member Senate with 12 seats. The current coalition (Liberals, Christian Democrats and two other parties) will lose their majority. 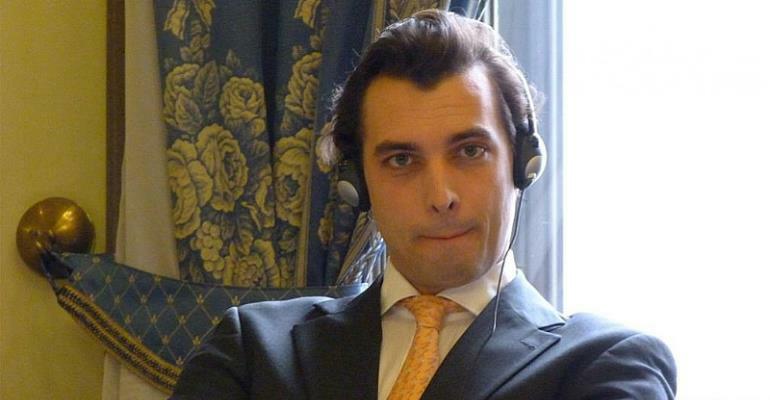 Baudet presents himself as an eccentric intellectual, once spoke in Latin during a parliamentary session and had a grand piano moved into his offices. He entered politics in 2016 with the Forum for Democracy which started out as a think-tank and rose to international notoriety when it successfully campaigned against the Ukraine-EU Association Agreement after initiating a referendum that forced The Netherlands, as the only EU member, to vote against the treaty. The rise of the Forum for Democracy follows an increasing pull to the right in Dutch politics that started with the emergence of Pim Fortuyn, who was killed in 2002 by an animal activist, just before the elections. His “List Pim Fortuyn” became a massive force in parliament, but went under as a result of internal squabbling. The right-wing banner was carried on by Geert Wilders' PVV with his strong anti-EU and anti-immigration agenda, riding a wave of populist movements across Europe, including the Alternative Für Deutschland in Germany, Vox in Spain, Italy's Five Star movement, and politicians in Hungary and Poland who apply increasingly right-wing policies. Like the gilets jaunes in France, many Dutch grew increasingly opposed to measures to be taken, especially when it appeared that consumers would pay an average of 250 euros per year more for their energy costs. The Forum for Democracy made it one of its campaign topcis, saying that citizens should not be hit.